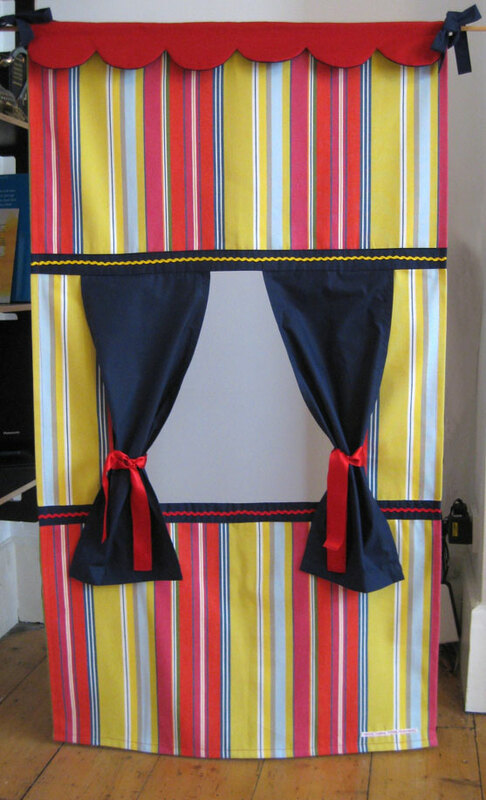 Finished making a puppet theatre to go in a new Storysack ‘Each Peach Pear Plum’. I managed to make it without buying anything – it’s made entirely from leftover bits of fabric from other projects, recycled fabric and ribbon- which is always a good feeling. And great to find another excuse to use ric rac! This entry was posted in Storysacks, Studio posts on May 13, 2014 by lisabenn.